Farmstay accommodation options range from full Bed & Breakfast in farm homesteads through to farm cottages and even some shearers’ quarters type accommodation! If you have a farmstay accommodation you would like to list on this guide please click here for information. This is where you edit your NZ Farmstay listing, add a extra listing, and do other exciting things. Northland Region New Zealand Farmstay Accommodation in Northland - Farmstay accommodation listings. Bay Of Islands Region New Zealand Farmstay Accommodation in Bay Of Islands - Farmstay accommodation listings. Auckland Region New Zealand Farmstay Accommodation in Auckland - Farmstay accommodation listings. Waikato Region New Zealand Farmstay Accommodation in Waikato - Farmstay accommodation listings. Coromandel Region New Zealand Farmstay Accommodation in Coromandel - Farmstay accommodation listings. Bay Of Plenty Region New Zealand Farmstay Accommodation in Bay Of Plenty - Farmstay accommodation listings. Eastland Region New Zealand Farmstay Accommodation in Eastland - Farmstay accommodation listings. Central North Island Region New Zealand Farmstay Accommodation in Central North Island - Farmstay accommodation listings. Hawkes Bay Region New Zealand Farmstay Accommodation in Hawkes Bay - Farmstay accommodation listings. Taranaki Region New Zealand Farmstay Accommodation in Taranaki - Farmstay accommodation listings. Manawatu Region New Zealand Farmstay Accommodation in Manawatu - Farmstay accommodation listings. 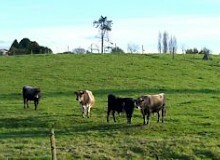 Wairarapa Region New Zealand Farmstay Accommodation in Wairarapa - Farmstay accommodation listings. Wellington Region New Zealand Farmstay Accommodation in Wellington - Farmstay accommodation listings. Nelson Region New Zealand Farmstay Accommodation in Nelson - Farmstay accommodation listings. Marlborough Region New Zealand Farmstay Accommodation in Marlborough - Farmstay accommodation listings. West Coast Region New Zealand Farmstay Accommodation in West Coast - Farmstay accommodation listings. North Canterbury Region New Zealand Farmstay Accommodation in North Canterbury - Farmstay accommodation listings. Mid and South Canterbury Region New Zealand Farmstay Accommodation in Mid and South Canterbury - Farmstay accommodation listings. Christchurch Region New Zealand Farmstay Accommodation in Christchurch - Farmstay accommodation listings. Otago Region New Zealand Farmstay Accommodation in Otago - Farmstay accommodation listings. 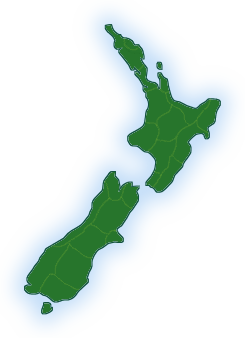 Southland Region New Zealand Farmstay Accommodation in Southland - Farmstay accommodation listings. Southern Lakes Region New Zealand Farmstay Accommodation in Southern Lakes - Farmstay accommodation listings.